Thorough cleansing is essential for healthy, glowing skin at any age. Younger- looking skin can be achieved with proper nutrition, exercise, and good skin hygiene. When you use moisturizers with sunscreen your skin is protected from damaging sun exposure. 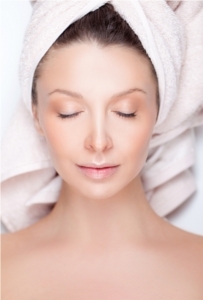 Scrubs, treatment masks and special cremes for the delicate eye area also help you keep that youthful look. AHA peeling treatments provide all skin types with an even and non-aggressive exfoliation of dead skin cells. It dramatically renews texture and clarity, diminishes hyperpigmentation and clogged pores. Includes neck and shoulder massage, Vitamin C mask. Deep pore cleansing for problem skin. Includes steam, exfoliating enzyme mask, extraction of skin impurities, calming Sulfur mask, Eucalyptus essential oil treatment, penetrating High-Frequency. Papaya and pineapple enzymes create a mild, superficial peel that is especially for sensitive, mature, and couperose skin. 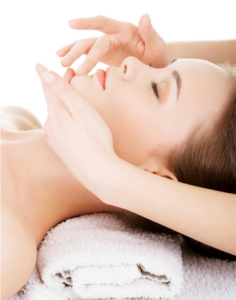 Includes Vitamin treatment and neck & shoulder massage. For dehydrated, tired skin. Enhances the skins ability to repair itself. Hydrates and softens your skin while protecting and moisturizing. Ocean minerals penetrate and balance the skin's pH. Includes steam, extractions, massage. Not for iodine allergic individuals.